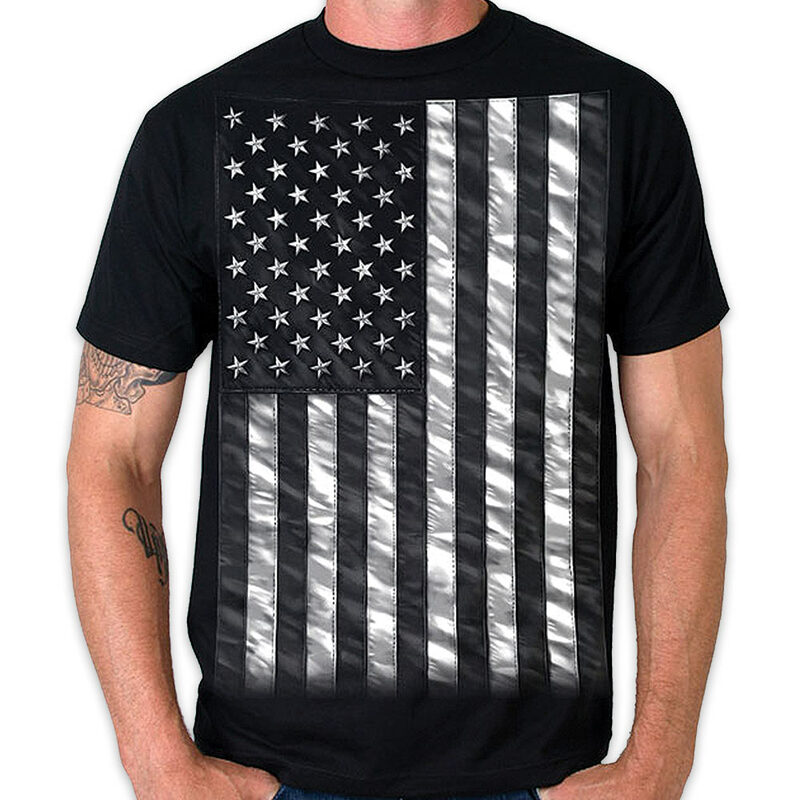 Jumbo Black and White Flag T-Shirt | BUDK.com - Knives & Swords At The Lowest Prices! Wear this tee to the next big motorcycle event, or wear it the next time you ride and represent the biker lifestyle with pride and patriotism. 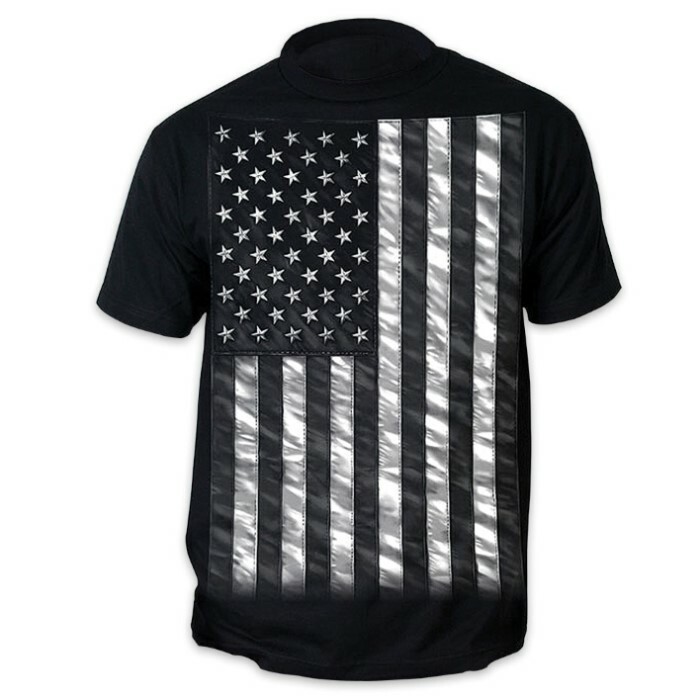 The black shirt is made of 100% heavyweight cotton and features a jumbo black and white American flag screen printed on the front. It comes in sizes LRG, 1XL and 2XL.